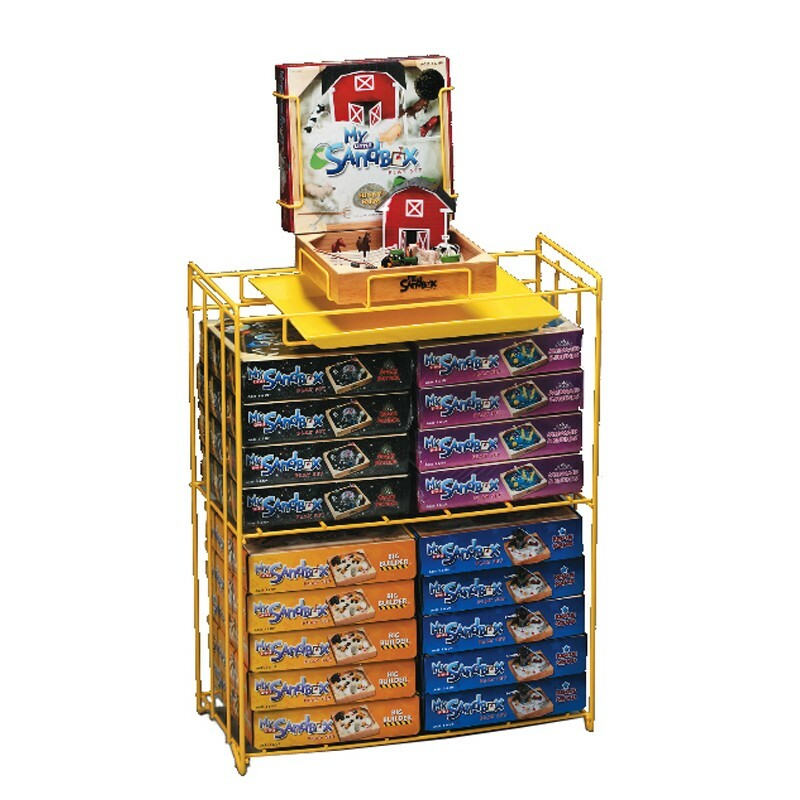 Double stack display includes demo area to showcase product with its package as a backdrop and removable sand spill tray for clean up. Holds 18 Pieces. Measures 23”W x 12”D x 30”H (top of tray). Stack’em high and watch’em fly off the rack! 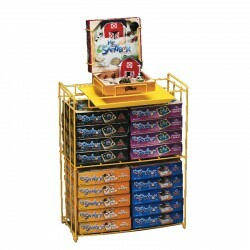 Display systems fit all KwikSand, My Little Sandbox, Sandbox Critters and Grow-It! Play Sets.